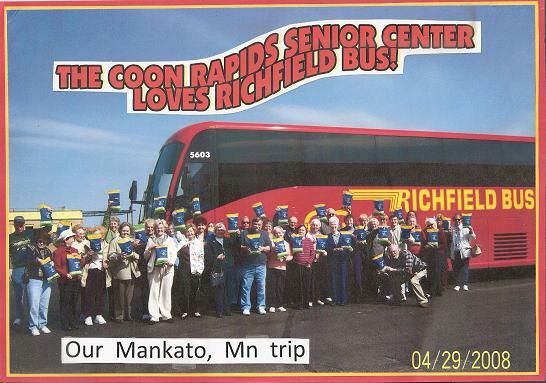 Did your group have a great experience with Richfield Bus Company? Share it! Let us know how we performed during your trip. You can write through regular mail, use e-mail, or fill out our Contact page. Your response could be posted on this site. No last names will be given to protect privacy. Just a note from the Choir. Thank you for your quick service in getting a different bus over to [us] last Wednesday, prior to leaving for our trip when the first bus had some mechanical issues. We would also like you to know how wonderful Joel, our driver, was with our students. From his nausea remedies using lemons to settle the stomach, to borrowing his black shoes and tie to one of the students who forgot theirs, he went over and above, in order to help out. Please pass along our thanks to him, again. We would also like you know how wonderful Joel, our driver, was with our students. From his nausea remedies using lemons to settle the stomach, to borrowing his black shoes and tie to one of the students who forgot theirs, he went over and above, in order to help out. Please pass along our thanks to him, again. I would like you to know about the experience that we had riding to Winnipeg June 7th thru the 10th. Scott P. was our driver for the weekend and we could not thank him enough for the wonderful atmosphere he provided. From the time we met, he was nothing but helpful in anything we needed. Driving North to Winnipeg he was polite, courteous, and listened to every question or concern we had. He adapted to our needs the whole weekend. Always on time getting us somewhere and really cared about how the girls were doing in the tournament. There are so many more things Scott did to make this weekend fun that I could list, but I think you get the idea. If there were more people in the customer service business like Scott, the world would be a better place. Thank you again! I wanted to reach out to you and thank you so much for the superior service you provided our team this past weekend! Your willingness to be so flexible and patient was very much appreciated!! I have been a part of many hockey team bus trips over my lifetime and have to say the support you provided us was unmatched!! You made the trip very fun for the entire team. Thanks again for making this trip special for our team and I look forward to riding the Richfield Lines again. Thanks again and have a great day!! I wanted to share with you our EXTREMELY POSITIVE EXPERIENCE with your INCREDIBLE BUS DRIVERS this past weekend!!! These bus drivers - Greg, Mike, Dan and Dave - are the most incredibly professional, kind, positive-minded, dependable and responsible drivers in the business! Very impressive people, driving beautiful motorcoaches that allow us as teachers to offer a highly memorable and educational experience to our students. Our trip to St. Louis with the Rosemount HS Marching Band was highly successful - due in large to the bus drivers (and the equipment they operated) that got us there and back safely, timely and happily! Richfield Bus Company is a great motorcoach operation - thanks for all that you do to provide such outstanding and high quality service, people and buses. Greetings from sunny and hot Oslo! We just wanted to say thank you. The Norwegian Reunion group flew out yesterday, and I think all were very happy. The tour went very well, in beautiful weather. I will never forget the smell of the prairie. I just wanted to say that we were very happy with our two drivers, Greg and Stan. 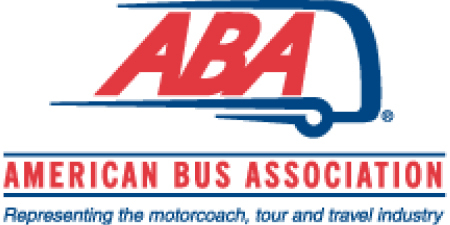 The buses were spotless, the driving was smooth and comfortable, and they took very good care of us. It was my first tour to the U.S., so I was a bit scared. But your drivers helped me along in every possible way - great! Please give them my best regards and thanks. I really enjoyed the tour and working with your drivers. It was a great two weeks! I have attached a photo of the Prior Lake Middle Schools 7-8 Honor Band in front of the Richfield Bus we chartered for our recent tour to Chicago. Our driver Tim was exceptional in his professionalism and help during the duration of our time on his equipment and made for a very memorable experience for our students. Thank you for providing such excellent coach service for this trip! We would love to use Richfield Bus Company again for future tours!